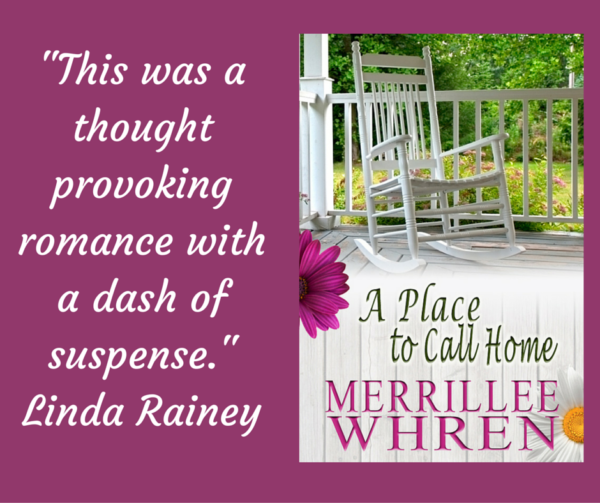 A couple of months ago, I had a sale on the first book in my Front Porch Promises series, A PLACE TO CALL HOME. I’m running that special price again. You can click on the title to find the buy links at all vendors. So if you haven’t already gotten the deal on this book, be sure to get it now. Share with me a promise from God that you find in scripture. I will give away the complete set of my Village of Hope series to one person who leaves a comment. I will pick the winner on August 20, 2017 at 9 PM MST. Romans 8:28 New International Version (NIV) 28 And we know that in all things God works for the good of those who love him, who have been called according to his purpose. This passage really came to mean a lot to me and our family when our newborn daughter died 18 years ago. God took a terrible situation and made a great thing happen. She was able to donate her heart to a 2 month old baby boy (the only way we could have a boy, since we had 5 girls!) and he is now 18 and doing wonderful! Instead of our family increasing by 1, it increased by 5. This includes Sam, his parents and his brother. Karen, your post brought tears to my eyes. I’m so glad God made it possible for you to look beyond that tragedy and see the good. Thanks for sharing. I love that scripture and promise, too. The same God who was with Moses, Joshua, David, Elijah is the same God who is with us now and who will be with our children and grandchildren in the future. MH, thanks for sharing that promise. It is wonderful to know that the promises are for all generations. Isaiah 43:2- “When you walk through the waters, I will be there…when you pass through the rivers, when you go through the fire, I will be there.” What an awesome promise that God is with us on our journey through this world! Wemble, I love that promise, too. I have only read three so far, and it reminds me how awesome our God is. Hi Merrillee! Enjoy reading your Front Porch Promises series. I remember the fun discussions about the cover designs. God’s promises are the best. As a young adult, Romans 8:28 “that ALL things work TOGETHER for good”, was the promise I relied on. The characters from the series all learn how God keeps his promises. It is important to remember even in the bad times that God is faith. My German mom was given these verses when she was baptized as a teen. These verses carried her through WW2. When we left Germany in 1955 to immigrate to the USA, the church in East Berlin gave her these same verses as a farewell and encouragement to leave her homeland. When we arrived in Michigan, at our family’s welcoming shower the American church welcomed us with Psalm 37. My mom saw this as providence – God keeping his promises. This scripture was in a frame on our wall. When life was tough learning a new language and new customs, we put our TRUST in the LORD. We did enjoy safe pastures, since in 1961 the Berlin Wall was built. God was good, letting us legally immigrate to the USA. Many in our family, who applied where not give this opportunity and lived behind the iron curtain. My parents lived a comfortable long life – mom was 86 & my dad 96 when they passed. I was the first person to graduate from college. An opportunity I would not have had in Germany. TRUST in the LORD! Thanks Merrillee for remembering God’s goodness and His PROMISES! Merrillee, FYI your book A Place Called Home was the first book recommended today in my BookBUb email. Renate, thanks for sharing your story and that wonderful scripture from Psalm. I am enjoying so much reading these promises from the scriptures. Thanks for reading the series. Trust in the Lord with all your heart and lean not on your own understanding, in all your ways submit to Him and He will make your paths straight. I have made this my daily mantra, whenever I feel.my self straying it never fails mr! Paula, that is a wonderful scripture to keep in mind when we are tempted to stray. Thanks for sharing that. “I will never leave you nor forsake you.” – Joshua 1:5. I adore your Front Porch covers, Merrillee! Jill, thanks. I thought I had already responded to your comment, but for some reason it isn’t there. Maybe it’s somewhere down the line. That is definitely a great promise. You’re reminding me it’s been a while since I’ve read through Hebrews. My grade school class graduation verse was Heb. 11:1 Now faith is being sure of what we hope for and certain of what we do not see. Renate, I love your family story, thanks sharing it. Thanks, Amy! So many great promises! Amy, I am just drinking in all these wonderful promises that everyone has posted. Thanks for sharing yours! Shadowblossom, that is so true about spouses. I need to remind myself of this scripture more often. Thanks for sharing it. One I cling to is, “I will never leave you nor forsake you.” Also, the promise that God is always good. Melynda, that is a good one to cling to. Beautiful book covers….thanks for your giveaway! I have several favorite scriptures, but love Psalm 73:26..God is the strength of my heart and my portion forever. We had just moved to a new area when my hub had heart attack and required triple bypass. I was so stunned that this is only scripture I could think of. Imagine my surprise when the heart surgeon gave me his card, and this same scripture was printed on it! God is good! God works in mysterious ways! What a great way to receive God is always with us! Jackie, how wonderful that the heart surgeon has a faith in God. Thanks for sharing your story and scripture. Jessica, this is another wonderful promise. It is awesome to think that God is holding us up. Sheila, you are the second person to share that promise. It is definitely a wonderful one we can rely on. I have been trying out contemporary inspirational romances. Lori, thanks for sharing. Several others have also shared the verse. I’m glad you’re giving contemporary inspirational romances a try. I love both contemporary and historical ones. I like the contemporary because I can relate to the characters, and I love the historical ones because they give me a window into how people lived in the past. Both teach us about God’s love and faithfulness. Sherri, thanks for sharing that. It’s another scripture that assures us that God will not forsake us. What a wonderful promise! 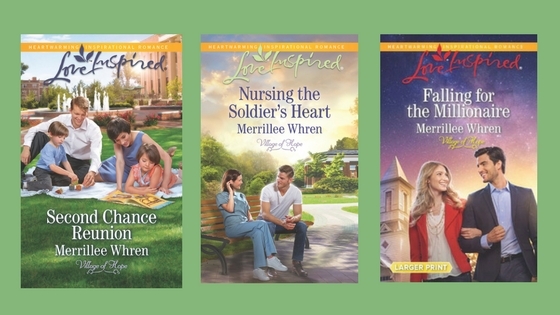 Merrillee, I had read all 3 books in your Front Porch Promises series and have enjoyed each of them. Please do not enter me in the drawing since I already own them. When will A song To Call Ours be released? Nancy, thanks for sharing that scripture. It is a good reminder that God gives us strength. I’m glad you’ve enjoyed all the books. A Song to Call Ours will be out in November. I have so many promises I cling to that it is difficult to choose, but for today I will choose Isaiah 26:3, “You will keep him in perfect peace, whose mind is stayed on You, because he trusts in You.” I am so thankful that God will fill us with His peace in every situation we face when we keep our focus on Him. You are a new author to me and your series sounds wonderful. I would love to win the set. Thanks for the chance. 😊 Blessings on you as you write for Him. Gobers, thanks so much for sharing that promise. It is so wonderful that we can rely on God’s peace when everything around us is in chaos. Bn100, yes. We all need wisdom. Thanks for the reminder that God will give us that wisdom if we ask. Gail, that scripture is a lovely reminder that God’s salvation is a gift. Thanks for sharing that. The promise I have been given is that God will direct my path. Proverbs 3:5&6 – Have been my life verses for a long time and it is so true. When I trust in Him He will direct me. To make a long story short, God had plans again for my life and I married that young man. Now we’ve been married going on 35 years and I have seen God’s hand in many ways. MFLiteraryWorks, thanks so much for sharing your story and how God directed your path. Thank you for reminding me of another great promise. Romans : 38 For I am sure that neither death nor life, nor angels nor rulers, nor things present nor things to come, nor powers, 39 nor height nor depth, nor anything else in all creation, will be able to separate us from the love of God in Christ Jesus our Lord. I’ve kind of chosen this for MY verse. Because Christ is solid and won’t be moved. He did it all for us! Paula, that’s another one of my favorite verses. I’m so glad for the reminder that nothing can separate us from God’s love. Thanks for sharing that. This verse has been made into a song and I loved it enough that I got my mother in law to needlepoint it for me. I think it’s one of the Psalms. Nancy, how cool that your MIL did a needlepoint of that verse. Thanks for sharing. Katji, you’re the second one to share that verse. It is so wonderful that we have nothing to fear because God is holding us up. Thanks for sharing that. Thanks, all for all these marvelous scripture promises. I enjoyed reading them all. Keep them coming. I’ve already read the books and enjoyed them so no need to enter me. I’ll share the giveaway on Facebook and twitter though! Trixi, thanks. The promise that God will never leave us is so reassuring, especially when we have trouble in our lives. Romans 8:31 I love this scripture because it reminds me daily that “If God is for you, who can be against you.” It makes me feel like I have soneone guarding me and I’m not alone. Deana, Romans 8:31 is another wonderful promise. Thanks for sharing. There are so many promises… but the first that came to my mind was from Jeremiah 29:11 – For I know the plans I have for you,” declares the LORD, “plans to prosper you and not to harm you, plans to give you hope and a future. It is a promise that has helped me in many times. I always remember that “God will never leave you, nor forsake you.” It may seem you are alone but God is right there lifting you up, walking beside you and drying your tears. That the trial of your faith being much more precious than of gold that perisheth, though it be tried with fire might be found unto praise honour and glory at the appearance of Jesus Christ. I have this marked to remind me that though i have had and gone through many trials in my life; I will be blessed and praised for staying the course at the end of it all.